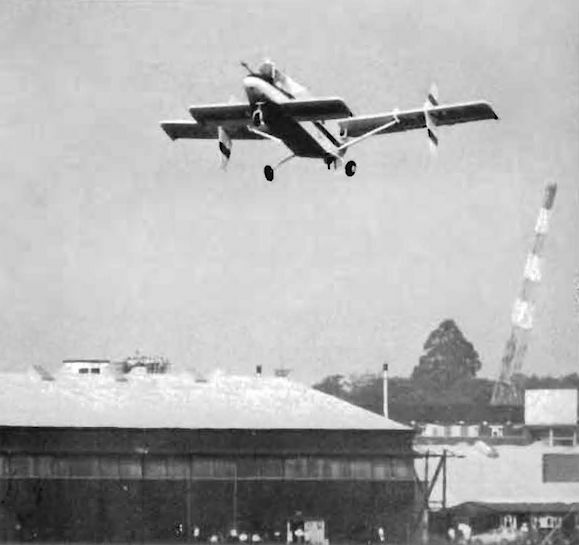 Prototype single 119 kW (160hp) Lycoming-engined general utility aircraft with the strut-braced main wings at the rear. 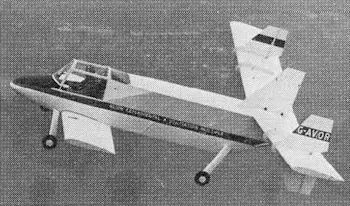 The 1/10ths-scale flying proof-of-concept LDA 01 at the Paris Air Show in 1975. 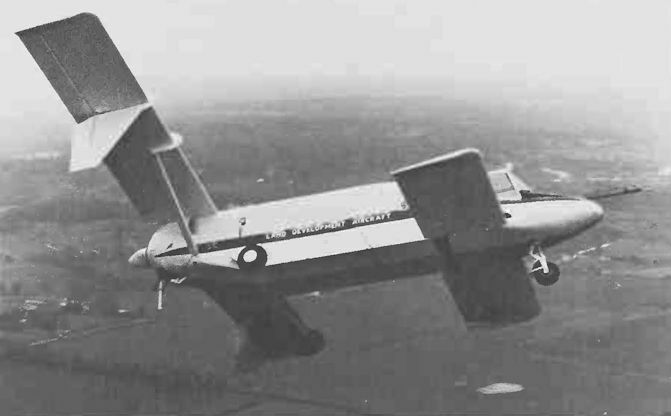 Note how the aircraft is painted in camouflage on the port side and in civil colours on the starboard side. 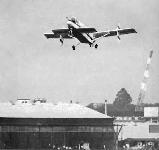 Illustrated is the Lockspeiser LDA-1, the first flight of which was made on 24 August, 1971. Powered by a Continental C-85-12, this aircraft has a span of 29 ft (8,84 m) and gross weight of 1,300 lb (590 kg) and is a 70 per cent scale model of a projected "‘flying utility truck". 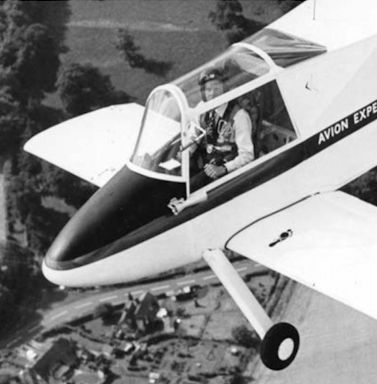 The latter would have a 340 hp Lycoming O-540 engine, a span of 44 ft (13,4 m), gross weight of 4,500 lb (2 040 kg) with a 2,000 lb (907 kg) payload and range of 350 naut mis (649 km). 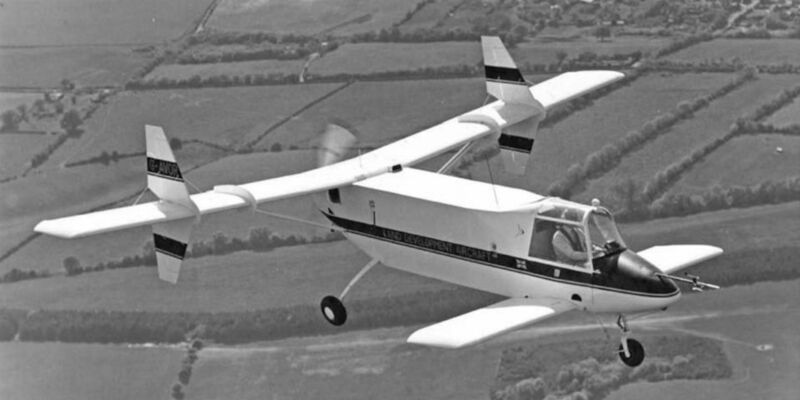 With a revised mainwheel arrangement and back in overall civil colours, the LDA 01, registered G-AVOR, is demonstrated by its designer in the summer of 1976. The following year David moved to Singapore to work on upgrades to the nation’s Hunters, but he resumed work on the LDA on his return to the UK in the mid-1980s. 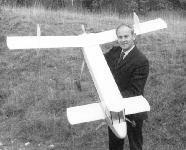 David with a scale model of the ingenious but ill-starred Land Development Aircraft (LDA) he developed at Dunsfold with George Smith.